Needless to say, it’s a very photogenic place. 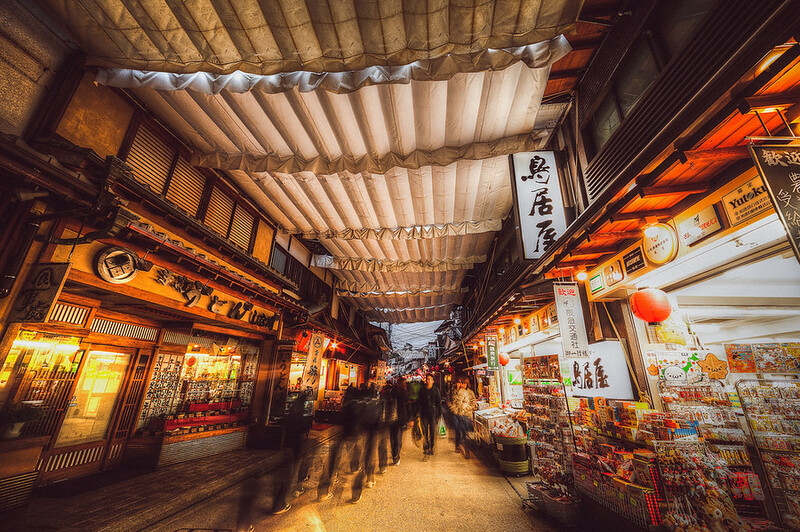 This photo is of the small traditional Japanese Market that’s close to where the boat is that drops you off. It’s an awesome little spot to get some nice photos that have that Traditional Japanese feel. Now I’m calling this an HDR photo even though it’s a single shot Raw. But I tonemapped it which pulls up the shadows and brings down the highlights. Since this is what people are referring to as HDR. When HDR really should only be applied to images that truly have a massive range of dynamic light. Most do not and the term HDR gets pinned on images that are tonemapped.